Blink at the world with a beautiful set of eyelids! Blepharoplasty or Eyelid Surgery is one of the most effective in redefining your look. 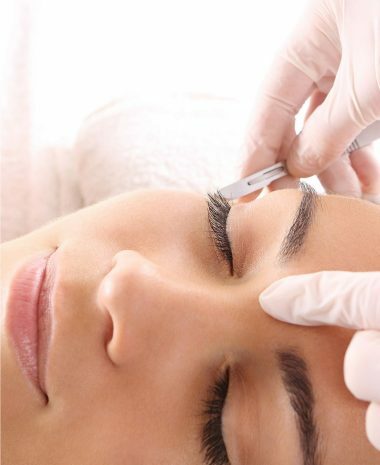 This procedure helps enhance the shape and appearance of eyelids, and improves self-esteem and confidence. There are many ways in which eyelid reconstruction changes life for the better. Eyes are the most delicate and important aspect of the human body. Dr. Kouroche Amini at KA Surgery understands this importance and medically corrects any defects with eyelid reconstructive surgeries. A beautiful set of eyes is often the first thing that another person notices in a human face. With age, however, the skin around the eyelids tends to loosen and sag, causing prominent fat pads that overshadow the innate beauty of the eyes, making them look dull and unappealing. For patients affected by facial paralysis and synkinesis, the appearance of the eyelids also becomes unattractive and sometimes even embarrassing. As a corrective procedure Dr. Kouroche Amini performs cosmetic eyelid reconstruction surgery, enhancing the appearance to a noticeable extent. The surgery not only has medical benefits, but also rewards the patient with boosted self-confidence and comfort. Reconstructive surgery for eyelids is the best and safest way to repair defects. These can be an after-effect of trauma, injury, skin disease or any other affliction of the area surrounding the eye. This is a rare form of skin cancer surrounding the eye; this type of eyelid cancer needs to be removed, and reconstructive surgery is the best way to do so. Melanoma is a rare cancer of eyelid; complete removal via surgery is the only treatment. This type of cancer affects the oil glands of the eye lids that cause the damage. Another strong reason to opt for eyelid reconstruction surgery is droopy or excess skin on the upper eyelid. Ptosis, sun exposure, ageing, nerve problems, disease or injury, are among the many reasons for having droopy eyelids with excess skin on the upper eyelids, which often also leads to poor vision. Blepharoplasty for Upper Eyelid is one of the safest and successful treatments for such conditions. Dr. Kouroche Amini skillfully performs all types of eyelid reconstruction at KA Surgery. The procedure is outpatient, rarely requiring the patient to stay overnight at the clinic. Eyelid surgeries are primarily performed under local anesthesia. Some cases might need general anesthesia, and Dr. Kouroche Amini will always make the appropriate decision for you. It usually takes 1-3 hours to complete the operation. Like every other surgery, there are various factors that add up to final estimate of the eyelid reconstruction surgery. Primary aspects like geographical location and the type of surgery performed impact on the cost. At KA Surgery you will get the treatment done at an affordable price. A final estimate is only possible with a face to face meeting at the clinic. In case you have an insurance cover benefit, cost of the eyelid reconstruction surgery can be claimed. Dr. Amini will guide and help you take care of all the paper work for the insurances.